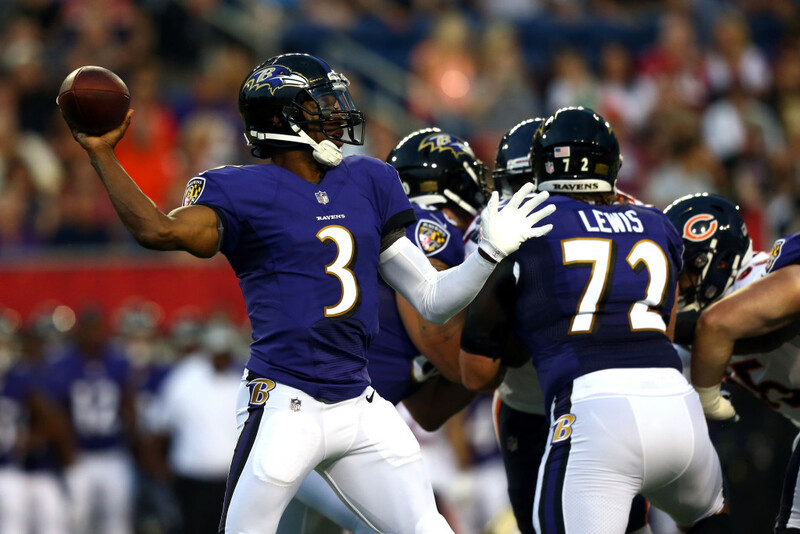 On Thursday, Ian Rapoport of the NFL Network broke the news that the Ravens re-signed backup quarterback, Robert Griffin III. Baltimore signed Robert Griffin III last year to a one year deal and allowed him to fight for a roster spot. Although the Ravens almost never keep more than two quarterbacks on the roster, Baltimore did in 2018. In Robert Griffin III, the Ravens saw a potential backup for Joe Flacco while Lamar Jackson was not yet ready. When Jackson became the starter, Griffin fit in as the backup. Robert Griffin III earned his reputation as a mobile quarterback in college. He won the Heisman Trophy in 2011 and entered the NFL Draft the following year. He was drafted by the Redskins with the second overall pick of the 2012 draft. The future looked bright for the young star, but events took a sharp turn. Griffin’s injury prone nature took advantage of him and derailed his career in Washington. He was eventually replaced by Kirk Cousins and signed with the Cleveland Browns in 2016. Griffin was injured in the first week of 2016 season and was placed on the injured reserve. He returned to the Browns in Week 14 but won just one game. The Browns released him after the season concluded. According to Nate Blogg of Barstool Sports, (Yes I am citing Barstool, he was on this story before anyone else was. ), the offer that brought Griffin back to Baltimore was a two-year deal. The financial details of the deal are not yet known. Griffin will likely be paid the average amount for a backup quarterback, which can range anywhere from $2-4 million per year. The Ravens wanted to bring Griffin back to Baltimore not only because he will fit the system, but he will continue to serve as a mentor to Lamar Jackson. Lamar Jackson is very similar to what Robert Griffin III was in his early years. He can pull Jackson aside and give him advice like most quarterbacks can’t. In that respect, Griffin is invaluable to Lamar Jackson and the Ravens.